Model: New year is coming and therefore you might be out looking for some presents, right? Whether it is for a small fella or a teenager or even for an adult. Tablets, smartphones with versatile options can be a good gift. Considering the majority of devices are becoming cheaper each day, they can make up for a good gift. I believe Xiaomi’s new Mi Pad 4 Plus is in this category. Let me start with the pricing. It starts from 270$ and can go up to 310$ or something close depending on the storage capacity. We all know that Apple is kinda dominating the area of tablets. 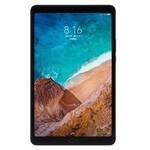 But they are too pricey and in my humble opinion iPads are a bit overkill in terms of usability when you think about price/performance ratio. Then you end up with Android tablets (pls lets not talk about Windows tablets). Good thing about Android tablets is that there are various manufacturers and they provide different devices for different price categories. The Mi Pad 4 Plus is not something of a very high end device nor a low end one. Hardware wise you get what you pay for and actually it delivers. Whether it is for playing games or watching videos or basically surfing internet, it does the job. Is there areas where it could have been better? For sure. For instance the speakers. They are poor. But you can use headphones. Screen brightness is okay, compared to older devices from the series the new device uses a 16:10 format compared to 3:2. Gaming on this tablet is fine. But 10.1 inch size could be an issue for screen management. Other than that, I would suggest you not to expect much. Because it is a budget device, period. It can be considered as a gift just because of that and believe me it will make people happy. Nowadays an e-reader costs as much and their capabilities are limited. Well, of course it is not an e-reader, but hey it can do much more. Design is okay, hardware is fine, with something close to 0.5 kg it can be hold in hand for a bit of time without any issues. Cameras, well I wouldn't count on them much. On the other hand, my general opinion about Android tablets in general is that if you are looking for something lets say for media consumption, you don't have to go overboard and buy something really elegant as long as it is not necessary to do so. Because, first, they will get older and you won't be able to use them in lets say 2-3 years. Secondly, hardware is evolving and you may miss new stuff in the coming years. For that reason, the Xiaomi Mi Pad 4 Plus is just that. Your daily mobile companion. It does what it has to, without any issues. The only thing? Well it needs to be imported and does not have a global ROM for now, but expected to arrive soon.